On Monday, I reviewed the mango, grapefruit, and lychee FruTips that I bought in China. Today, I’ll review their regular flavor assortment. 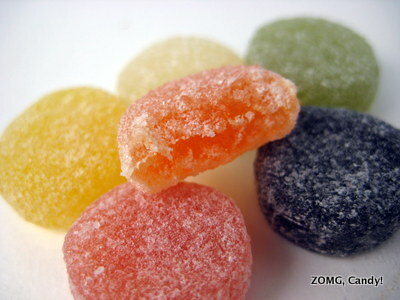 The regular FruTips were the same size and texture as their specialized flavor counterparts, and they also contained lychee flavored jellies (white). 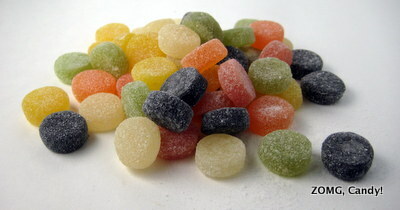 You can refer to Monday’s review for my notes on texture and the lychee FruTips. Yellow was lemon. It tasted tart and zesty with lots of bitey lemon zest flavors. Orange was orange and tasted of candied citrus. It, too, was quite zesty, but its flavor profile was more rotund and orangey. Green was apple and tasted like apple juice. Pink was strawberry, which was floral and sweetly tasty. Finally, purple was blackcurrant, which is not a flavor we usually get in the U.S. It had intense, seedy tannins with almost menthol-y undertones that gave it some bite. 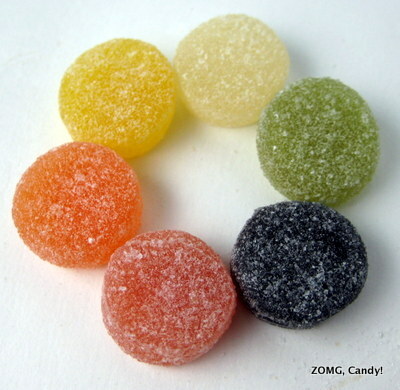 Nearly six years ago, I wrote a review of Rowntree’s Fruit Pastilles that may be the same product as these, except this time around, I really liked them. I’m not sure if the Chinese ones were fresher or a different formulation, or what, but I think they’re worthy of an OM. Washington Post Peeps diorama contest winners!